Easy, on-the-go touch-ups from a cordless flat iron. 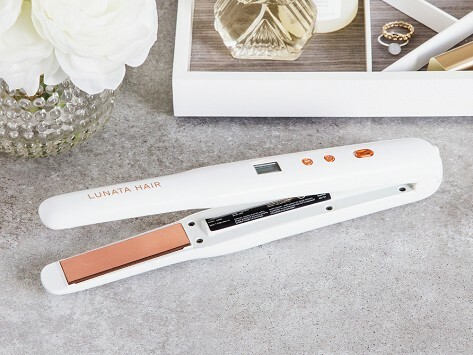 The rechargeable, full-size iron has dual voltage to work around the globe while it smooths hair and fights frizz. It can heat up to 430 degrees and lasts up to 45 minutes on one charge. Heat-proof sleeve, charging dock, and charging cable included. Dimensions: 10.5" x 1.5" x 1.5"